Appiah posted a photo of Perkatis waiting at the airport for their flight to Korea. Looks like he'll get his first start of the year at the ACL match! It was around this time last year he made his debut vs Jets. Perkatis was playing in central defence last night correct? Initially someone said it was Hamil, then someone said it was Alessi playing CB... Very strange if he was! The triallist #16 (from Apia) is a taller version of Yianni. He played CB, pairing with NTS in the 2nd half against the Rams. Any chance thats who you're thinking of? yanni was definitely in CDM. Did this lad get any game time? If so, how did he go? 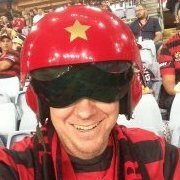 @wswanderersfc watched the 1st half, had to zip off. 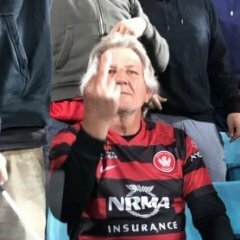 WSW on top. @RealRukavytsya and @Milanello10 dominated. What's happening with Yianni?? Have we seen the last of him in red and black? Couldn't imagine he would be happy with not playing. Bacchus has come in and played where Perkatis would be. I'd say he'll be gone possibly in january so Bacchus can move into full squad. Don't forget Perkatis has been played as CB in NYL so he might not even have been considered as DCM in our senior team anymore. Yep, that a reasonable assessment after 2 seasons. You've definitely got enough data to draw insightful conclusions regarding Popa's youth policy. I disagree. I reckon we need a bit more time to gather more data. Two starts in a row now. Good to see. He's been solid but not exceptional. The lad's still young though. Much promise, I reckon. heard whisper he was one of the players who wanted out and was in discussion with ESFC due to lack of game time. 2 starts in a row. Popa must rate him as being able to play a role for rest of season. happy to see this boy now playing especially based on some of his nyl performances. agree nothing fancy but a role I am sure he plays as per popa requirements. I believe that he would luv to remain at wsw but I haven't heard any talk that he will be moving on until may. happy21st for yesterday. should have been rewarded with a call up for yeaterday's game ,can be any worse then the current mids. Your range of passing best in team. Reasonable call, longball. ILR and Mateo's distribution have both been questionable for a while. It's why I like Yojiro dropping in to partner one or the other, but Yianni would be another good option. Surely we can have a loan system where he goes and plays in the NPL but still remains our player? Why? He's not good enough. Actually a spell at a club like Blacktown City would do him good.....he'll be amongst a few players there who have shown promise but never cemented an A League starting spot. i wouldnt say he wasn't good enough, more like popa cant nuture talent. 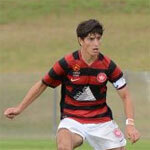 i looked at his background, played for nswis, Ais, australia u17 wc, anf young roos. our captain and nyl player of the year, born and bred in the west and we cant keep on, no worse then any players that played in the DM role this year. there is something wrong with this and popa is to blame . 3 seasons with the club and struggled to get a start in the main squad, he may have killed it in the younger/lower leagues but perhaps the A-league is too good for Yianni. The A-league has come a fair way since our inception in form of quality etc. thanks to Yianni for his service to the club and all the best to him in his playing future, he was given time but just wasn't able to produce what was required, that's football.